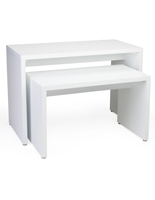 Searching for a clean looking furnishings solution to your establishment? White retail fixtures will bring a sleek and crisp feel to your store. 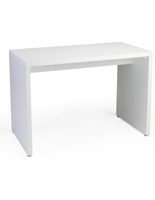 Each piece of furniture is constructed from sturdy MDF (medium density fiberboard), making it a durable option for showcasing product merchandise. 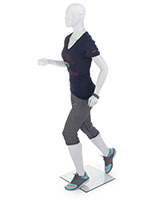 White retail fixtures are available in a variety of styles and sizes — including mannequins, so users have the freedom to mix and match pieces to create the perfect display. These accessories are perfect for cultivating a minimalistic style with uncluttered lines and textures. The monochromatic color scheme doesn't call attention to itself and places full emphasis on the products. Check out our catalog of retail fixtures for stores and home décor to find the piece to best suit your needs. What types of display accessories are available? 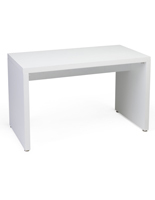 White retail fixtures are available as nesting tables and come in different sizes to fit the needs of any establishment. 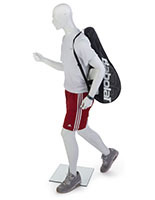 These units are great for standalone display pieces to showcase merchandise of all kinds or customers can purchase combinations to create a broader presentation. 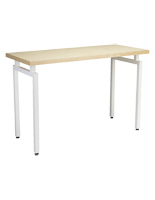 On our site, you have the option to buy each table separately. We also have a nesting display sold as a set of two — with one larger and one smaller unit to house product merchandise. Block-style garment racks have a single rod for displaying jackets, blouses, or dresses. The unique build has room for extra space to house smaller items like shoes and bags. These garment racks have a chic contemporary look, designed to fit into minimalistic-style or modern environments. 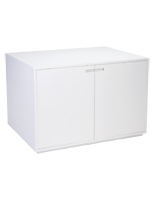 Block-style cabinets are the best of both worlds, providing storage space with a convenient counter-height display area. These units can be used as a creative merchandising solution or as a chic place for storing items within the home or even a daycare center. Mannequins are essential in a clothing retail store. We have bold white models in male and female forms to accentuate the garments you choose to display. The neutral coloring really lets the clothing speak for themselves and draws the attention away from the figurine. 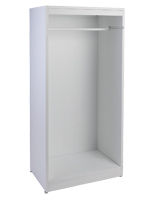 The color white never goes out of style, so why not invest in a new type of merchandising display solution? These modern furnishings will enhance your retail space and make your items pop. Generate a clean and crisp environment with ease using these contemporary store accessories, or use them to enhance the modern space you’ve already created! Because after all, the color white can complement any setting. Let Displays2go help showcase your products in an impactful way!